Shimi is the squeest, fluffiest, prettiest cat I’ve seen in a while! Snow leopards – more like squee leopards! Look at them big, fluffy paws! This widdle guy is ridiculously squee, but I have no idea what he is. Almost looks like a bear of some kind, a teddy bear perhaps? But he definitely has some primate-like characteristics about him too. Can you squeeps help figure out what this creature is? We will try to keep our squees quiet so as to not disturb the Captain’s contemplation. -Sally Squeeps Do you have a squee pet that you want to share with the world? 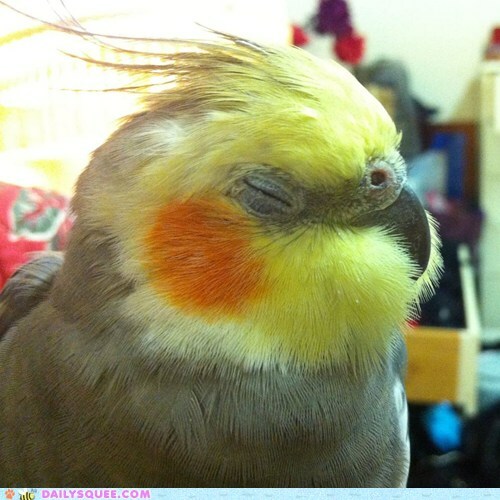 Send us your pet pictures and stories, and they could end up on Daily Squee! The Tibetan Mastiff is descended from the famous Tibetan dogs that were the ancestors of the majority of Molossuses and Mastiffs throughout the world. 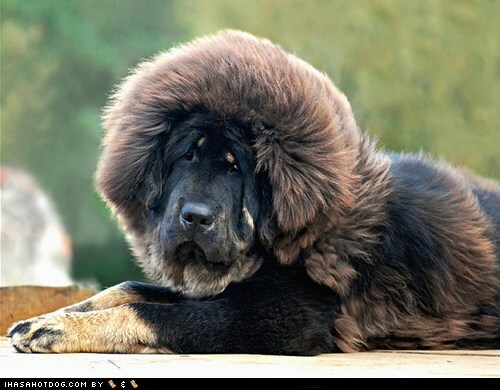 The ancient Tibetan Mastiff may have been in existence as early as 1100 BC.